Chicago Personal Injury Lawyer | William S. Wojcik, Ltd.
Not sure if you have a case? No worries! We will sit down and discuss your potential case at no charge! William S. Wojcik, Ltd. is your Chicago Personal Injury Law Firm serving Chicago, Oak Lawn, Chicago Ridge, Bridgeview, Burbank & Chicagoland's Southwest Suburbs. The Law Offices of William S. Wojcik, Ltd., have provided decisive legal advice to injured clients throughout the Chicago area's southwest side and south suburbs for over 38 years. Our firm provides our injured clients with the resources they need to make their voice heard by the legal system in order to protect their rights and maximize their recoveries. 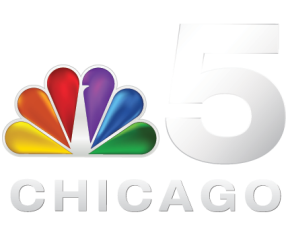 Below are 2 videos that discuss Chicago Car Accidents and Personal Injury. Our founding attorney, William S. Wojcik, Ltd., provides our firm with a publicly recognized knowledge base. He is a recipient of the Martindale-Hubbell Client Distinction Award for 2012-2013 for quality of service, overall value, responsiveness and communication ability. 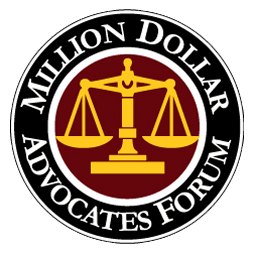 He is also a member of the Million Dollar Advocates Forum & Multi-Million Dollar Advocates Forum featuring The Top Trial Lawyers in America and a member of the Illinois Trial Lawyers Association. $3.775 Million Dollar Medical Malpractice Settlement . . .
$3.775 million settlement for multiple female plaintiffs whose ob/gyn doctor allegedly performed unnecessary biopsies on them in his office. Legal efforts in this civil case also led to suspension of doctor's license to practice medicine. $3.4 Million Dollar Auto & Car Accident Jury Verdict . . .
$3.37 Million Dollar Auto & Car Accident Settlement . . .
Cook County, Illinois $3.37 Million Settlement Reprinted from page 1 of the Cook County Jury Verdict and Settlement Reporter Deft tractor-trailer driver Gary Sucku made a left turn from northbound Archer into the Dolphin Cartage truckyard near Knox. Deft Jason Kondys, driving a Pontiac 70 mph in rainy conditions, struck the rear tandem wheels of Sucku's trailer, causing F-16 backseat passenger to sustain torn descending aorta requiring a Hernashield graft, epidural hematoma, closed head injury causing ongoing headaches, and traumatic Bell's Palsy which has resolved ($235,000 medl. expense). Pltf is currently seeking her GED and plans to attend college. Confidential insurers paid $3,350,000 for Sucku and $20,000 policy limit for Kondys. $2.1 Million Dollar Personal Injury Settlement . . .
$2,100,000 million settlement for a 34 year old Lemont pipefitter who was injured when he tripped and fell on stairs at a newly opened commercial office building in Western Springs received $2.1 million in a settlement approved by a Cook County judge. Steven Brocken suffered an ankle sprain which required surgery and developed Complex Regional Pain Syndrome in his left foot and ankle according to his attorney, William S. Wojcik of Oak Lawn. The fall was unwitnessed. Mr. Brocken alleged that his fall was caused by a high stair riser in a rear stairwell at the building. The settlement ended a lawsuit that had been filed in 2006 against the building's owner, 800 Hillgrove LLC., its general contractor, Everett Builders and several sub-contractors. $1.6 Million Dollar Medical Malpractice Settlement . . .
$1,600,000.00 Million Dollar Settlement for Family of Medical Malpractice victim who died when a doctor failed to recognize signs of acute renal failure in a patient and discharged that patient prematurely. $1.5 Million Dollar Medical Malpractice Settlement . . .
$1.495 Million Dollar Nursing Home & Medical Malpractice Settlement . . .
Cook County, Illinois $1.495 million - Elderly patient entered hospital for knee replacement. Surgical errors caused vascular injury and required nursing home stay which resulted in negligent wound care. $1.2 Million Dollar Medical Malpractice Settlement . . .
$1.13 Million Dollar Dram Shop Settlement . . .
$1.13 Million Dollar settlement for 42 year old female who was injured by an alleged intoxicated person (AIP). Plaintiff alleged that she was struck by female AIP’s motor vehicle after she threatened her outside of the front doors of well-known Merrionette Park tavern complex. Plaintiff alleged that in addition to contributing to the intoxication of the AIP, tavern failed to take appropriate security measures to protect its patron from foreseeable harm arising from AIP’s verbal threats directed toward Plaintiff. $1 Million Dollar Construction & Personal Injury Settlement . . .
$950,000 Dollar AUTO & CAR ACCIDENT SETTLEMENT . . .
Cook County, Illinois $950,00.00 settlement for 42 year old woman injured in 3 car accident near 40th and Western in Chicago, IL. Defendants disputed liability, and the nature and extent of plaintiff's injuries. $800,000 Dollar Construction & Personal Injury Verdict . . .
Cook County, Illinois $800,000.00 verdict for "high burner" demolition worker who fell from a ladder after sparks from his cutting touch fell into an uncovered manhole that contained sewer gas and caused an explosion. Occurred at Amoco Oil Company's Whiting, Indiana, refinery. Plaintiff suffered fractures of his right knee.